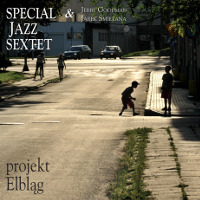 This is the debut album by a Polish Jazz sextet, which changed its lineup and name several times before settling with the name Special Jazz Sextet, before this album was recorded. It is led by keyboardist Bartek Krzywda and includes saxophonist Szymon Zuehlke, trombonist Artur Olewniczak, trumpeter Marcin Gawdzis, bassist Janusz Mackiewicz and drummer Grzegorz Sycz. Saxophonist Przemek Dyakowski guests on five tracks and guitarist Jaroslaw Smietana and violinist Jerry Goodman each guest on one track. 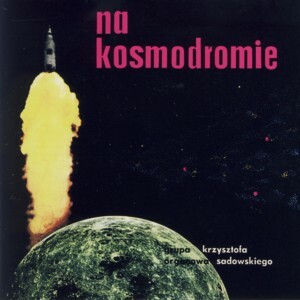 The album presents eight original compositions, all by Krzywda. The music is melodic mainstream Jazz bordering on Jazz-Rock Fusion. The brass section is skillfully used in the arrangements to support the keyboards/rhythm section passages and overall the sextet functions as a solid well synchronized unit, achieving a polished and highly professional effect. There are plenty of excellent solo parts by all the participants and the guests. The individual contributions by all the participants are truly outstanding and although these are not "famous" Polish Jazz musicians, their level of technical proficiency and skillful delivery are as good as those by musicians from the "premier league", which of course is a testimony of the incredibly high level of Polish Jazz in general. Overall this is a very well played mainstream Jazz album, which should be satisfying to all listeners the world over. It is fun to listen to and presents first-class musicianship and interesting compositions. 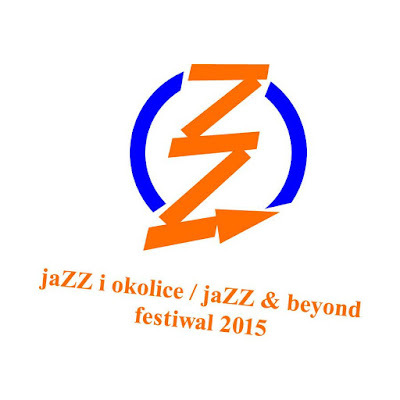 Festiwal Muzyki Improwizowanej - jaZZ i Okolice / jaZZ & Beyond jest bezpośrednią kontynuacją cyklicznej imprezy muzycznej, realizowanej pod tym samym tytułem od 9 lat w Katowicach, jednak początki naszych muzycznych propozycji sięgają 2004 roku, kiedy to rozpoczęliśmy realizację koncertów w Górnośląskim Centrum Kultury i Jazz Klubie Hipnoza w Katowicach jako cykl: jaZZ i okolice. Od 2012 roku Festiwal jaZZ i Okolice / jaZZ & Beyond realizowany jest jako wydarzenie odbywające się w kilku miastach regionu: Chorzowie, Katowicach, Sosnowcu, Jaworznie, Częstochowie, Tychach i Gliwicach w okresie trzech jesiennych miesięcy: od końca września do połowy grudnia. Celem festiwalu jest zaprezentowanie melomanom najnowszych obszarów muzycznych poszukiwań w dziedzinie improwizacji, w mniejszym stopniu związanych z tradycyjnym dziedzictwem jazzu, pojmowanym na sposób purystyczny i akademicki, natomiast w większym stopniu stawiającym akcent na aktualności muzyki improwizowanej oraz tworzące go kreatywne artystycznie środowiska w Polsce i na świecie. Prezentowana muzyka to wielowątkowa podróż po świecie różnorodnych kultur i tradycji, która swoje inspiracje czerpie zarówno z historii amerykańskiego, europejskiego i polskiego jazzu, muzyki soul, rhythm and bluesa, rozmaitości muzyki etno-folkowej, jak również z brzmień muzyki pop-rock, elektroniki, muzyki klasycznej i eksperymentalnej oraz współczesnej kameralistyki. Pomysłodawcą, autorem programu festiwalu i jego głównym promotorem jest Andrzej Kalinowski, kulturoznawca, wielki pasjonat muzyki, producent muzyczny, autor tekstów o muzyce i wywiadów z muzykami. Tegoroczną, IX edycję festiwalu jaZZ i okolice/jaZZ & beyond 2015 określa motto: "etno inspiracje, brzmienia nowe i źródłowe/jaZZ & beyond Improvised Music Festival 2015: ethnic heritage, new sounds and roots music". Sala widowiskowo - koncertowa "Muza"
This is the debut album by young Polish keyboardist/composer Patryk Krasniewski, recorded in a trio format with bassist Piotr Lewanczyk (who also plays synthesizer parts) and drummer Jerzy Markuszewski. 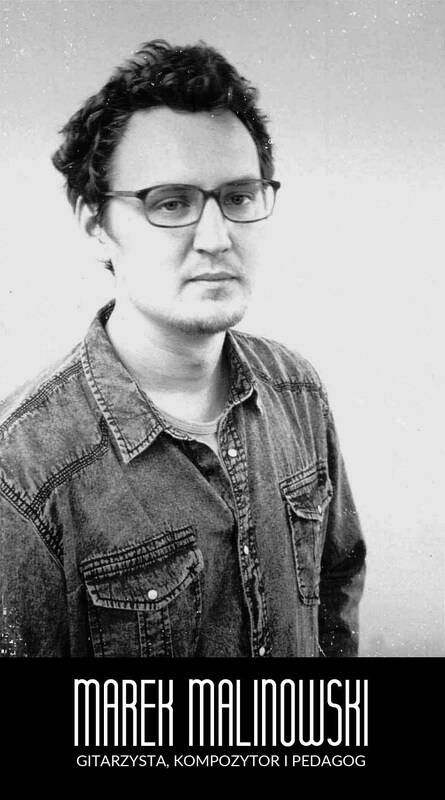 The album presents seven tunes, six of which are original compositions by Krasniewski and one is by Tomasz Wendt, a fellow student at the Wroclaw Music Academy. There is some confusion as to the album's tracks, as there are seven tracks listed but only six present on the actual CD? Go figure! Krasniewski seems to be a kind of prodigy according to his CV, which tells about prizes won at piano competitions, composition competitions etc. and involvement with many music genres from Pop to Classical Music from a very early age. This album is also a result of winning the yearly competition for Jazz debut recording offered by the Polish Institute of Music and Dance. Of course this album tells only the story contained within, which sadly is pretty disappointing. The musicians are very skilled of course but the music seems to be completely lost in between genres. It is only very marginally Jazzy and is rooted somewhere in alternative Pop/Rock more than in Jazz. The classic piano trio parts have an obvious reference to Jazz, but the synthesizer parts manage to break the charm. Apparently Krasniewski is still looking for his true self as a composer and musician, and this album is just a step on the path of discovery. There are some interesting moments of course, which disclose potential and talent. It's a pity Krasniewski did not stick to the motto chosen for the album's title, which might have saved the day. Without the synthesizer parts and less show off this might have been a much better album perhaps. In any case this is an unusual album, which deserves merit for trying and hopefully is a forerunner of great things to come. This is (finally!) 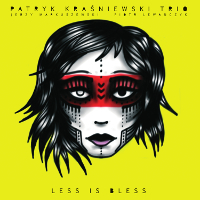 the debut album by Polish cellist/guitarist/composer Krzysztof Lenczowski, one of the most prominent representatives of the young generation of Polish musicians, who is characterized by a total cross-genre approach to music, tipping his fingers in anything from Pop, Rock, Fusion, Jazz and deep into contemporary Classical music, always with grace and sublime talent. The fact that this is his debut album, already preceded by dozens of albums recorded as a group member or sideman, is surprising, but on the other hand nothing about Lenczowski should be really surprising, as he is an Artist of the unexpected. This album, recorded in a quartet setting with saxophonist Grzech Piotrowski, organist Jan Smoczyński and drummer Tomasz Waldowski, was recorded at the Tokarnia Studios (owned by Smoczyński who also engineered the recording with the usual spectacular sonic results) presents eight original compositions, all by Lenczowski. From the very first tones heard on this album it becomes immediately apparent that this is a piece of music completely unique and incomparable to anything else happening anywhere. Yes, completely unexpected in every aspect: sound, melody, use of instruments, atmosphere and overall feel of this album are all absolutely stunning. Cello is by far not the most popular instrument outside of the Classical Music idiom and Lenczowski's determination to stick with this instrument despite the obvious difficulty, is commendable. But the entire instrumentation of his music on this album is far from being easy on the ear: Jazzy saxophone playing complex extended solos, organ playing mostly bass lines and very limited melody/chord lines and a Rocky drummer on top – a strange recipe to say the least. And yet against all odds this music works splendidly and extremely effectively. Lenczowski's cello parts are of course incredible all the way through, which is hardly surprising in his case. Surprisingly (again) Piotrowski plays beautifully and ambitiously as well, and Lenczowski's decision to use him here turned out to be the right one, in spite of Piotrowski's problematic flirts with Smooth muzak in the past. Smoczyński, as always, turns out to be an island of serenity and his somber, church like organ sound, creates a solid layer upon this music solidly rests, or floats above. Waldowski's drums become an integral part of the ensemble and his sensitivity, elegance and coolness are exemplary. As usually the strength of the entire ensemble only works out if all the participants contribute on the same emotional level, which obviously happens in this case. Lenczowski also deserves praise for his compositions, which are all not only beautifully melodic, but also delightfully lyrical and emotionally deep. The music sounds at times like medieval chant, or charmingly discloses touches Middle Eastern mystique, or brings fond memories of early days of Progressive Rock glory. Regardless of the many associations, it is always inspired and rewarding. Overall this is a most impressive debut album by an experienced and mature musician, who is still searching and ready for the challenges of the future. It is definitely one of the finest albums released this year on the Polish scene, with very few challengers around. An absolute must for any true music lover! This is the debut album by young Polish Jazz bassist Paweł Wszołek recorded with his quartet with also includes guitarist Łukasz Kokoszko, pianist Sebastian Zawadzki and drummer Szymon Madej. The album presents nine original compositions, all by Wszołek and was released on the Spanish Fresh Sound label as part of the prestigious New Talent series. The music is all within the melodic modern mainstream boundaries, solid and well crafted, but not particularly ambitious. It is, however, excellently executed, especially due to the superb piano parts by Zawadzki and sensitive drumming my Madej, who have both already appeared with great success on other Polish Jazz recordings in the last few years. Wszołek also plays well, handling the bass solos with self confidence and playing alongside his cohorts amicably. Of course, although he is the quartet's leader, playing a bass solo on every track of the album is a bit excessive. The guitar, however, I find a bit overbearing, as it is loud in the mix and its sound is slightly harsh (too much echo? ), not fitting ideally to the acoustic piano trio setting of the rest of the band. Stylistically the round guitar sounds are definitely way too related to Pat Metheny for my taste. Nevertheless this is still a very strong debut effort, which should satisfy most mainstream Jazz fans and serve as a sold proof of the talents of these young musicians, who are after all at the very early stages of their career. I look forward to hear more of Wszołek's music in the future, after he matures a bit and gains the experience so much needed when playing Jazz. This is the second album by veteran Polish Jazz saxophonist/composer Wojciech Staroniewicz and his A'Freak-aN Project ensemble, which consists of a four saxophones front line: Staroniewicz on tenor, Przemek Dyakowski on tenor, Dariusz Herbasz on baritone and Marcin Janek on soprano. The extended rhythm section includes vibraphonist Dominik Bukowski, bassist Janusz Mackiewicz, drummer Roman Ślefarski and percussionist Larry Okey Ugwu. As the title suggests, the album is dedicated to the music of Krzysztof Komeda and four of the six tracks presented here were composed by Komeda, and the remaining two are original composition by Staroniewicz, who also arranged all the music. The arrangements of Komeda's tunes work all very nicely, which on one hand proves that Komeda's music is completely universal, and on the other that Staroniewicz and his colleagues do a great job here, lovingly and respectfully treating the creations of the great composer. The two originals by Staroniewicz ale also first rate tunes, fitting the overall atmosphere of the album. Altogether this is a superb mainstream Jazz album, which features great music, intelligent arrangements and perfect execution. The almost impossible task of saying something innovative in relation to Komeda's music was successfully achieved here as well. Therefore hopefully as many Jazz fans as possible will decide to check out this beautiful little gem and share its gift of music. Once again I'd like to say that the graphic design of this album, which continues its predecessor's idea, is among the most elegant and eye-catching album designs on the Polish Jazz market. This is a reissue (first time on CD) of the third album by Polish Jazz keyboardist/composer Krzysztof Sadowski recorded with an ensemble called Organ Group, which also included flautist/vocalist Liliana Urbańska, saxophonists Vesselin Nikolov and Tomasz Szukalski, guitarist Winicjusz Chróst, bass guitarist Wojciech Bruslik, drummers Zbigniew Kitliński and Wojciech Morawski and finally percussionists Andrzej Zieliński and Bożena Bruszewska. The reason for the long lineup is the fact that the album was recorded during two separate sessions with two different lineups. This album was released at the time as part of the legendary "Polish Jazz" series (as Vol.47) and included originally only four tracks, the first of which gave the album its title and was a twenty one minutes long suite originally found on side A of the LP. The three tracks on side B were shorter and spanned between three to nine minutes in duration. Two of the compositions were originals, both composed by Sadowski; one was a Keith Jarrett tune and one was a Classical piece. This remastered reissue adds three bonus tracks recorded at the Polish Radio. The music on this album shows Sadowski at full swing as a Jazz-Rock Fusion musician, firmly based in the Fusion idiom, which was pretty well established by then both on the Polish scene and abroad. He expands his arsenal and uses electric piano and early synthesizer (ring modulator) gadgets. The flute parts are more daring and the vocalese more developed, clearly following the work of Urszula Dudziak. Nikolov adds a tinge of Balkan spice and Szukalski blows away like only he could, touching upon Free at times. The rhythmic support is very Rock oriented and the overall sound and feel of the music resembles to some extent the best Fusion ensembles active in the West but maintains an East European identity both harmonically and melodically. In retrospect the album is a great document of the time at which it was recorded, proving that in spite of the relative separation from what was happing beyond the Iron Curtain, Polish Jazz was responding rapidly to the changes in the Jazz idiom, often with ferocity and ingenuity, which were impossible to hold back by the political regime. The grammar mistake in the English version of the title (preserved for historic consistency) is a nice reminder of Socialist bureaucracy (an insider's joke). As usual it is my duty to thank GAD Records for taking care of the Polish Jazz heritage, who is sadly a lonely rider on that trail. This superb music definitely needs to be fondly remembered and discovered by new generations! 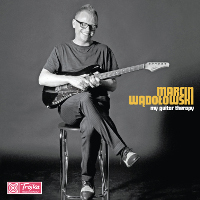 This is the third album by Polish guitarist/composer Marcin Wądołowski, this time recorded in a trio setting with superb bassist (both acoustic and electric) Piotr Lemańczyk and drummer Adam Czerwiński. The album presents nine original compositions, all by Wądołowski. 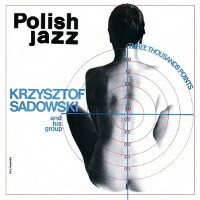 If the two earlier albums by Wądołowski flirted with Jazz to some extent, this one abandons all Jazz connections and concentrates on Blues or Blues-Rock entirely. Of course the rhythm section comes from the Jazz environment, but they too play along splendidly within the Blues idiom, retaining their superb technique and feeling. Of course Wądołowski improvises extensively during his extended solos, but this is typical Blues-Rock improvisation. It becomes plainly evident from the early moments of this album that Wądołowski really feels great in this environment and his playing is not only more daring and adventurous but also much gutsier than earlier on. Of course Lemańczyk also adds a few bass solos of his own, which are, as always, absolutely breathtaking, but he easily complies with the Bluesy atmosphere. Wądołowski writes great melodic tunes, which are ideal vehicles for his guitar pyrotechnics and combine some Funk and Groove on top of the basic Blues-Rock stuff. In short, this music should not be judged by Jazz standards, as it is not Jazz music. It is a down to earth Blues-Rock, excellently played and ideal for the many fans of the genre. It is a great listen and a true fun, without any compromise whatsoever as far as musicianship and integrity are concerned. 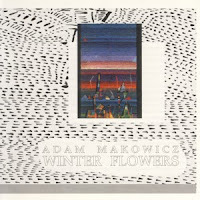 This is a reissue of a solo piano album by the brilliant Polish Jazz pianist/composer Adam Makowicz, which was originally recorded in Czechoslovakia and released on the Supraphon label. It was the third solo piano album by Makowicz (see "Live Embers" and "Piano Vistas Unlimited" recorded earlier), recorded shortly before he left for the US, where he recorded his first American album, also solo piano, and entitled simply "Adam". Both these albums were released more or less in parallel. 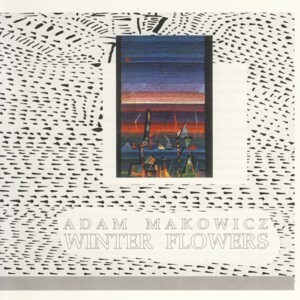 This album presents ten original compositions by Makowicz. Several tunes on this album were also recorded for the US album, some under different names, which included in addition to Makowicz originals also five standards. Makowicz was one of the very few Polish Jazz musicians that managed to establish a solid career in the US and lived there for many years, before moving to Canada. His technical brilliance and extensive Classical Music background allowed him to establish a concert pianist career. He was banned in Poland after moving to the US and the ban was lifted only after the fall of the Socialist regime, but this Czechoslovak album was available during that dark period. Makowicz is known for his love and interpretation of the music of Frederic Chopin and his original music bears Chopin's influence almost in every aspect: melodically, harmonically and lyrically. One might speculate that if Chopin would have lived in our times, his music might have sounded very similar to that of Makowicz. In the US Makowicz was often compared to Art Tatum and Oscar Peterson, but quite honestly these comparisons are quite inappropriate, as Tatum and Peterson might have been symbols of piano playing technique but did not possess the European idiosyncrasies that only European born musicians are blessed with. In retrospect this album lost nothing of its charm and elegance and personally is still my favorite Makowicz album, perhaps because it is entirely based on his original music. A classic Jazz piano album and a must for all fans of Polish Jazz of course! Jeden z najważniejszych polskich perkusistów, Rafał Gorzycki, pracuje właśnie nad nagraniem i wydaniem najnowszego albumu swojego tria. W tym celu na platformie crowdfundingowej Polak.Potrafi.pl został stworzony specjalny projekt, którego celem jest prezentacja muzyki tria poprzez nagranie, wydanie i promocję płyty - "Playing". Przygotowywana płyta jest pierwszym albumem tryptyku triowego i kontynuacją rewelacyjnie przyjętego tryptyku duetów nagranych z Kamilem Paterem, Sebastianem Gruchotem oraz Jonathanem Dobie'em. Muzyka skomponowana na potrzebę tego otwierającego serię tria, jest nową i intrygującą odsłoną zainteresowań Gorzyckiego. Krótka trasa koncertowa zagrana na przełomie 2014/15 roku w celu zbadania na żywym organizmie tego projektu pokazała, iż ta muzyka jest bardzo dobrze odbierana zarówno przez odbiorców niesłuchających jazzu na co dzień, jaki i wytrawnych melomanów, których serca już podbiły poprzednie projekty, jak choćby Sing Sing Penelope, Ecstasy Project czy Dziki Jazz. Rafał Gorzycki jest zaliczany obecnie do najważniejszych, najbardziej twórczych muzyków jazzowych, kompozytorów i perkusistów w Polsce oraz Europie. Współtworzone przez niego zespoły zostały okrzyknięte muzycznymi odkryciami ostatniej dekady, które przyczyniły się do zmiany pokoleniowej w polskim jazzie. Konsekwentnie promuje polską muzykę, występując na scenach i festiwalach całej Europy, Azji i USA, wydając swoje autorskie albumy wyróżniane przez media w Europie i USA. Gorzycki ma 41 lat, mieszka w Bydgoszczy, jest twórcą i współzałożycielem zespołów Sing Sing Penelope, Ecstasy Project, Dziki Jazz, A-kineton, Maestro Trytony, czy ostatnio 3 duetów oraz tria. Gra na perkusji i komponuje muzykę, nagrał ponad 20 autorskich płyt. W 2010 r. jego album „Dziki Jazz” był nominowany do „Fryderyka”. Rok później został laureatem konkursu Nagrody Polskich Melomanów, przyznawaną przez Program Trzeci Polskiego Radia. W 2012 r. amerykańska wytwórnia płytowa „Moon in June” (wyd. Soft Machine) zaprosiła go, jako jedynego Polaka, do udziału w albumie-kompilacji z najciekawszą muzyką jazzową z całego świata. Jest stypendystą Ministra Kultury i Dziedzictwa Narodowego, Marszałka Województwa Kujawsko-Pomorskiego, laureatem Nagrody Artystycznej Prezydenta Miasta Bydgoszczy oraz członkiem zarządu Stowarzyszenia Artystycznego Mózg. W latach 2006, 2009, 2012 i 2013 był uznawany w podsumowaniach muzycznych roku za Artystę Roku i klasyfikowany zawsze w pierwszej 10-tce artystów jazzowych. Marek Malinowski to absolwent Akademii Muzyczne im. Feliksa Nowowiejskiego w Bydgoszczy na wydziale Jazzu w klasie prof. Piotra Olszewskiego. W 2013 r. powołał do życia kwartet, w skład którego wchodzą utalentowani młodzi, ale znani już muzycy: Michał Michota (trąbka), Paweł Urowski (kontrabas) i Albert Karch (perkusja). Grupa promuje obecnie debiutancki album, który został wydany w renomowanej wytwórni Requiem Records. Marek swoje brzmienie kształtuje poprzez stosowanie oszczędnych środków. Łączy nastrojową melodykę, przestrzeń, z odważnym podejściem do partii improwizowanych. Jest lirykiem, nie boi się też eksperymentować w poszukiwaniu nowych brzmień. Wojciech Woźniak - W roku 2008 Minister Kultury i Dziedzictwa Narodowego przyznał mu honorową odznakę „Zasłużony dla kultury polskiej”. Kształcił się w klasie kontrabasu w Pańtwowej Szkole Muzycznej w Bydgoszczy. Jest kompozytorem i współzałożycielem zespołu Variété, w którym tworzył w latach 1983-2006 r. Jest autorem muzyki do pięciu płyt - "Bydgoszcz" (1986), "Variété" (1993), "Koncert Teatr STU" (1995), "Wieczór przy balustradzie" (1996), "Nowy materiał" 2004 . Wielokrotny laureat FMR w Jarocinie. W roku 1989 otrzymał wyróżnienie na Ogólnopolskim Przeglądzie Piosenki Aktorskiej we Wrocławiu. W 2006 r. założył zespół The Cyclist, z którym wydał bardzo dobrze przyjętą płytę "Gymnastics" (2008) oraz „Etiudy miejskie” (2013) z udziałem Daniela Mackiewicza z Sing Sing Penelope i Jacka Buhla znanego z zespołu: 4/5 Syfon, czy duetu Jachna/Buhl. Celem projektu jest zebranie środków, które zostaną przeznaczone na wynajęcie studia nagraniowego Recpublica gwarantującego światowe brzmienie płyty, mix, mastering i wydanie/wytłoczenie płyty CD w nakładzie 1000 sztuk. Premiera albumu jest przewidzana na 28.02.2016, a w ramach trasy koncertowej PLAYING MUSIC TOUR zespół odwiedzi wszystkie najważniejsze ośrodki muzyczne w Polsce, a jesienią także Europy. Ze względu na realia, którymi rządzi się polski przemysł jazzowy, projekt nie będzie miał możliwości realizacji bez Państwa pomocy. Na płycie znajdą się wyłącznie utwory będące autorskimi kompozycjami, a dodatkowo jeśli wsparcie projektu przekroczy 8.000 zł na dodatkowej płycie przeznaczonej dla wspierających projekt znajdzie się bonusowo jeden utwór specjalny. Jeśli dofinansowanie przekroczy 10.000 zł nakład albumu zostanie zwiększony o 250 egz. Jeśli przekroczy próg 12.000 zł zostanie zrealizowany klip video, który zostanie umieszczony bezpłatnie w sieci (z możliwością ściągnięcia) oraz emitowany będzie w TVP Kultura. Jeśli dofinansowanie osiągnie ponad 14.000 zł wytłoczone zostanie kolejne 250 cds, które zespół roześle bezpłatnie do Instytutów Polskich oraz Instytucji Kultury na Świecie celem promocji Kultury Polskiej! 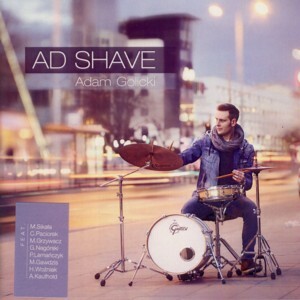 This is the debut album by young Polish Jazz drummer/composer Adam Golicki, recorded with a core trio, which also includes keyboardist Michał Ciesielski and bassist Piotr Gierszewski. 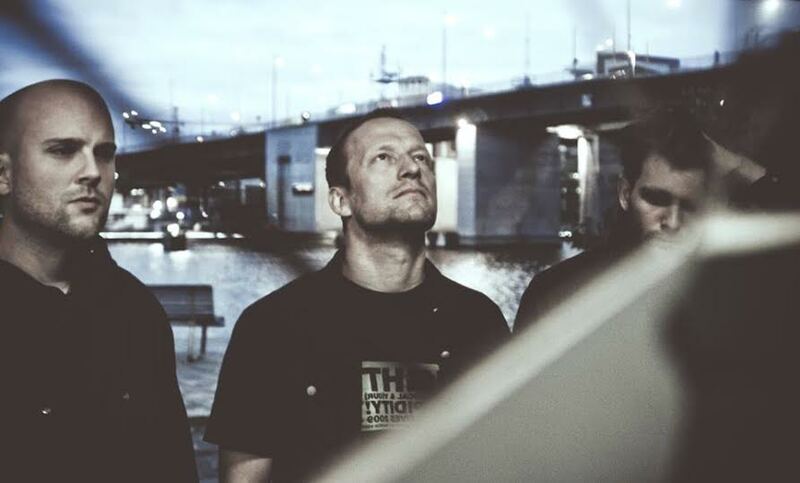 This same trio released an album under the Confusion Project moniker a year ago. Eight guest musicians appear on selected tracks, among them saxophonist Maciej Sikala. 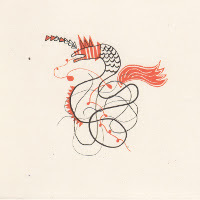 The album presents six original compositions, all composed by Golicki (although the album's packaging includes also a conflicting line claiming the compositions were co-composed by Golicki and Ciesielski). The music is a nice collection of melodic tunes performed excellently by all the musicians involved in a Funky/Fusion mainstream style. This music swings and the musicians are all professionals, so nothing negative can be said about this album, except for the fact that it is derivative and introduces absolutely no innovation as far as music is concerned. On the other hand not every album innovates (in fact only very few do) so this album is at least as good as most other albums released in the same musical milieu and parts of it are even brilliant. I had an entertaining time listening to this music, not trying to analyze it any more than need be and having a good time in the process. Perhaps not music for brainiacs, but this is a solid piece of music in every respect and very many people who like the lighter side of Jazz should have a great time listening to it. Hopefully Golicki will continue his musical path further and will grace us with more ambitious projects in the future. His potential as a composer certainly ignites high hopes. This is a reissue (first time on CD) of the second album by Polish Jazz keyboardist/composer Krzysztof Sadowski recorded with an ensemble called Organ Group, which also included flautist/vocalist Liliana Urbańska, Dutch trumpeter Eddie Engels, saxophonist Włodzimierz Nahorny, bass guitarist Paweł Dąbrowski, drummer Tomasz Butowtt and congas player Józef Gawrych. This album was not released at the time as part of the legendary "Polish Jazz" series, for reasons that are way beyond the scope of this text. The original album included only six tracks, the first of which gave the album its title and was a twenty minutes long six parts suite originally found on side A of the LP. The five tracks on side B were all much shorter. All the compositions were originals, four composed by Sadowski and one each by Nahorny and Engels. This remastered reissue adds three bonus tracks recorded at the Polish Radio. By the time this album was released the Polish Jazz scene was in a state of upheaval, torn between two extremes: Free Jazz on one side and Jazz-Rock Fusion on the other. Strangely this album presents a bit of both, since although conceptually belonging to the Jazz-Rock Fusion genre it features a few Free Form solos. 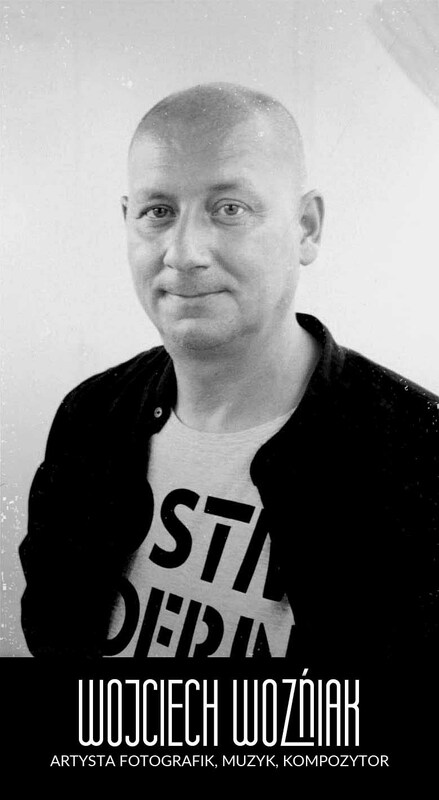 Obviously Sadowski was shifting his organ playing stylistics from the traditional influences (Jimmy Smith) towards (then) contemporary keyboard approach represented by Herbie Hancock or Weather Report's Joe Zawinul. The use of vocalese, which was one of the trademarks of Polish Jazz at the time, utilized extensively by Urszula Dudziak in Michał Urbaniak's ensemble, is only one of the parallels between these two pioneering Fusion bands active at the time. The space exploration, which seems a bit strange as a subject matter of a Jazz album, was at the time one of the main pillars of the Socialist propaganda, which excitedly participated in the space race between USSR and USA, with an obvious winning side. Picking such a subject increased of course significantly the possibility to have one's music released by the State controlled solitary record company in existence at the time in Poland (Polskie Nagrania). In retrospect the albums is a great document of the time at which it was recorded, proving that in spite of the relative separation from what was happing beyond the Iron Curtain, Polish Jazz was responding rapidly to the changes in the Jazz idiom, often with ferocity and ingenuity, which were impossible to hold back by the political regime. As usual it is my duty to thank GAD Records for taking care of the Polish Jazz heritage, who is sadly a lonely rider on that trail. This superb music definitely needs to be fondly remembered and discovered by new generations! 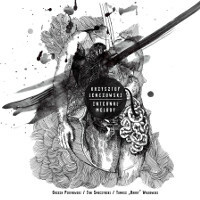 This is a live recording of spontaneously composed Improvised Music performed by two prominent Polish representatives of the genre: flautist Dominik Strycharski and bass guitarist Rafał Mazur. The performance is edited into five separate tracks, but of course such division exists only for convenience sake and does not disrupt the natural flow of the music. I have often stated that Improvised Music finds itself at the disadvantage of being mostly a live/real time experience and very rarely transforms itself into a lasting experience, when recorded and later released on record, with rare exceptions of course. This, fortunately, is one of those rare exceptions, where the music, or whatever one might want to call this encounter between two artists, remains completely relevant on record and deserves repeated listening. 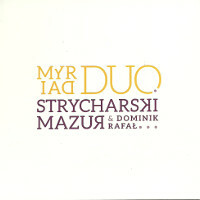 For people familiar with the Polish Improvised Music scene with both these innovative musicians since years. Born four years apart in the 1970s, they are both active since the 1990s with increasing frenzy, producing over time dozens of recordings and leading numerous projects, both in Poland and abroad. This is their first encounter as a duo, and luckily that live concert was also captured for posterity and released on this album. The flute/recorder, one of the ancient human instruments, is sadly neglected in Jazz and Improvised Music and therefore Strycharski's virtuosity as a flautist is especially appreciated, especially in these circumstances. His beautiful tone poems and quirky improvisations are a delightful trip in space/time and a rare example of concentrated minimalism as an Art form. The melodic stream and the myriad of tiny notes merge into a wonderful soundscape. Mazur, who is a virtuoso bassist, is also a musician with a truly chameleonic ability to adjust his playing to any environment, as already documented on his various recordings. His playing here is therefore accordingly more delicate and low key without of course cutting down anything from its subtlety, sophistication or creativity. As a duo these two musicians function as if their minds amalgamated for the duration of the concert, way beyond just attentive listening and much closer to telepathic communication. In short if anything deserves the title "Art of the Duo", this is it, here and now! This is the debut album by young Polish (resident in London) Jazz pianist/composer Tomasz Bura. 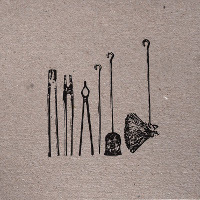 It was recorded "live in the studio" in a solo piano format and presents eight compositions, six of which are by Bura, one is a standard and one is by Piotr Schmidt (Bura plays keyboards in Schmidt's ensembles). The music is mostly lyrical and introvert, quite in contrast to what Bura played earlier on Schmidt's albums, which were Fusion oriented. Here Bura definitely exposes his Classical influences as a performer and composer, with emphasis on romanticism and European melancholy. Although based on solid melodic themes, the music floats harmonically in different directions, often quite distantly from the initial ideas. Certain passages seem to be improvised on the spot, even though obviously well prepared in advance. The entire approach seems to draw the listener into a semi-meditative trance, taking him on a journey of dreamy reflections. The more energetic improvisations serve as a wake up calls between the music induced dreams. This kind of music really requires complete attention and submission in order to be fully enjoyable. Overall this is a surprising and inspiring debut album, which manages to overcome the obvious complicatedness of solo piano albums with flying colors. It certainly makes me curious to hear Bura in a classic acoustic piano trio format, which would be the ultimate test of his abilities. In the meantime let's enjoy this eloquent "ritual". Polish (resident in Denmark) Jazz trumpeter/composer/bandleader Tomasz Dąbrowski is one of the leading upcoming European musicians and his prolific, almost feverish output manages to astound his fans time after time. This album follows suit several albums already released this year and as always maintains incredible quality. This time Dąbrowski leads a quartet, which besides him includes three leading young Danish Jazz musicians: baritone saxophonist Sven Dam Meinild, pianist Jacob Anderskov and drummer Kasper Tom Christiansen. The album presents seven original compositions, all by Dabrowski. This music is more free oriented than Dąbrowski's explorations so far, which seems to be a continuing development in his work. It is therefore further away from mainstream Jazz and explores other areas, like contemporary Chamber music and improvised avant-garde, although based on written themes. The entire scheme of using the quartet is also very unusual, as there is no conventional "soloists vs. rhythm section" setting at all, only an ensemble performance by the entire quartet as one body. The exclusion of the bass is also very significant, where some of the typical bass parts are taken over by the baritone sax and others by the percussion. This music is only as good as the level of cooperation achieved by the quartet members and therefore the interplay is its central ingredient. Luckily for Dąbrowski these three musicians belong to the same "school of thought" like himself, enabling the quartet to become a unity. There is no doubt that this music points towards a new epoch of Jazz, which becomes an amalgam of all forms of improvised music, those previously experienced and those still undiscovered. Dąbrowski and his generation are brave pioneers of these uncharted territories and it's a great experience to bear witness while this music keeps unfolding in real time in Copenhagen, Warsaw, Berlin and other parts of Europe. This is quite difficult music for most people, no doubt about it, but it is also deeply rewarding and intellectually challenging. It is spearheaded by a relatively tiny group of musicians and has a limited audience. Nevertheless it encompasses perhaps some of the most important musical developments happening in a world which is rapidly turning away from challenge and cultural progress, and therefore becomes even more significant. It is in these young people that we entrust our Cultural feature. Występ Adama Gołębiewskiego w ramach tegorocznego LDZ Music Festival był bez wątpienia najbardziej wyrazistym punktem programu. Okazuje się, że również w kameralnych warunkach odsłuchowych muzyka perkusisty - improwizatora niesie ze sobą feerie dźwiękowych doznań. Płyta "Pool North" ekspresję muzycznego performance'u oswaja do formy akustycznego słuchowiska. Usadowiając się w pierwszym kręgu publiczności, podczas występu Gołębiewskiego w łódzkim Bajkonurze nie przypuszczałem, że za chwilę stanę się pierwszą ofiarą dźwiękowego gwałtu, którego z pełną premedytacją dopuścił się artysta. Gwałtu zbiorowego, dokonanego zarówno na zgromadzonym audytorium, jak i na perkusji. Mojej świadomości, ukołysanej mistycznym setem Pawła Szamburskiego, nie zaalarmowało spostrzeżenie, że do zestawu perkusyjnego, który szybko wyrósł na środku parkietu, nie został przypisany choćby jeden mikrofon. Pierwsze minuty spektaklu nie pozostawiły wątpliwości, że oto rozpoczęła się istna orgia hałasów, w trakcie której miałem wrażenie, ze moje uszy krwawią rozdzierane brutalnością dźwięku. Uczuciu temu towarzyszyło mimowolne kulenie się przed sonicznym naporem, którego natężenie daleko przekraczało wszelkie granice higieny słuchania. Momentami czułem się jak pies Pawłowa, który zamiast snopem światła, tresowany jest salwą perkusyjnej detonacji. Przerażenie mieszało się z ekscytacją. Słowo spektakl, w przypadku występu Gołębiewskiego wydaje się być określeniem najbardziej adekwatnym, bowiem dźwiękowej intensywności towarzyszył widowiskowy obrazek perkusisty uwijającego się w szaleństwie improwizacji, prezentującego kolejne, zaskakujące metody preparacji instrumentu. W arsenale artysty znalazły się plastikowe widelce, bambusowa mata do sushi, blaszane termosy, zmaltretowane talerze perkusyjne przypominające kształtem kapelusz Włóczykija, oraz inne bliżej niezidentyfikowane suweniry. Wszystkie one w rękach Gołębiewskiego rozlatywały się, łamały i deformowały pod wpływem brutalnego pocierania o naciąg werbla. Już sam widok talerza drapiącego werbel mógł wzbudzić cierpienie, zaś dźwięki, które wydobywały, stanowiły świetną tego cierpienia ilustrację. Inną równie brutalną metodą było umieszczanie talerzy warstwowo na sobie w celu wzmocnienia metalicznego brzmienia. Efektem ultra szybkich i mocnych uderzeń była oblepiająca ściana akustycznego noise'u, przeszywająca na wskroś pofabryczne przestrzenie klubu. Co ciekawe Gołębiewskiemu, być może nieświadomie, udało się nawiązać relację z historią miejsca, w którym występował. Grube ceglane ściany byłej przędzalni Widzewskiej Manufaktury w czasach jej świetności pochłaniały porównywalne natężenia hałasu, generowanego przez setki przędzarek, zgrzeblarek i krosen. Artysta adekwatnie odpowiedział na ten zaklęty w murach historyczny zgiełk. Odsłuch płyty "Pool North", której wątki były wyraźnie rozpoznawalne podczas występu Gołebiewskiego na LDZ, mimo iż pozbawiony intensywności koncertowych doznań, wcale nie ujmuje tej muzyce treści i mocy oddziaływania. Zmienia jedynie postrzeganie z emocjonalnego na bardziej intelektualne, w trakcie którego dzięki świetnej selektywność nagrania (tutaj należą się brawa dla nieocenionego Michała Kupicza odpowiedzialnego za miks i mastering) mamy dostęp do drugich planów i detali. Kompozycje znajdujące się na płycie zostały skrupulatnie wyselekcjonowane z zapisów improwizacyjnych sesji perkusisty, tak aby ukazać sonorystyczną różnorodność jego eksperymentów. Mamy tu zatem perkusję jako instrument harmoniczny, generujący niskie przeciągłe burdony, oraz gęste zewowe pomruki o ambientowych inklinacjach ("Straight Mute"), przywołujące na myśl motywy z nagrań toruńskiego Hati. Najwierniej oddającym intensywność koncertowego wcielenia perkusisty jest oparta na akustycznych przesterach kompozycja "Half Blame", będąca emanacją industrialnego zgiełku. Z kolei bliższe klasycznemu, dynamicznemu wykorzystaniu instrumentu są "Decay", i "Left Hand Shake" przybierające charakter free-jazzowego solo, jakie możemy usłyszeć choćby w wykonaniach Kuby Suchara. Skupiając się na wydobywaniu nasyconych chropowatością faktur ("Ellington Tradition", "Manner And Timbre") Gołębiewski osiąga artykulację bliską tej, jaką przy użyciu kontrabasu uzyskuje Jacek Mazurkiewicz, tworząc swoje pełne dramaturgi, elektroakustyczne formy. Całokształtu tej różnorodności dopełnia wieńczący płytę utwór "Glass Of Seawater", sugerujący orientalne inspiracje japońską muzyką dworską gagaku. Muzyka Adama Gołębiewskiego, która w warunkach koncertowych ogłusza i atakuje odbiorców, oszałamiając masywnością i dostojnością hałasu, w warunkach studyjnych ukazuje swoje skrywane wnętrze. Pozwala dostrzec rozpiętość możliwości preparacyjnych drzemiących w instrumencie, zadziwiając bogactwem barw, faktur i technik, jakimi posługuje się muzyk. W rezultacie dopełnia to obrazu twórcy w pełni świadomie posługującego się swoim warsztatem. Jednocześnie mamy do czynienia z godną kontynuacją cyklu sonorystycznych solowych eksploracji, zainaugurowanych w ubiegłym roku świetnymi płytami Szamburskiego, Zemlera, Mazurkiewicza czy Szuszkiewicza. 2 noce z Fire! w Pardon, To Tu !!! Tej szwedzkiej supergrupy nie trzeba długo przedstawiać. Bardzo się cieszymy, że po raz pierwszy na jedynych koncertach w Polsce i jedynej dwudniowej rezydencji podczas ich jesiennej europejskiej trasy koncertowej – wystąpi w Pardon, To Tu zespół FIRE!, czyli saksofonista Mats Gustafsson (znany m.in. z The Thing oraz współpracy z Peterem Brötzmannem, Sonic Youth czy Merzbow), basista Johan Berthling (Tape) i perkusista Andreas Werliin (Wildbirds & Peacedrums). Zapraszamy bardzo serdecznie! Fire! śmiało poczyna sobie na obrzeżach współczesnej alternatywy i jazzu. Muzyka zespołu odwołuje się bardzo silnie do noise’u i transu, ale równie mocno czerpie ze skandynawskiego folkloru, jak i free jazzowej tradycji oraz muzyki elektronicznej i doświadczeń muzyki repetytoryjnej kompozytorów amerykańskich (Reich, Glass), łącząc to wszystko w jedną wspólną i nierozerwalną całość, tworząc zupełnie nową jakość na muzycznej scenie. 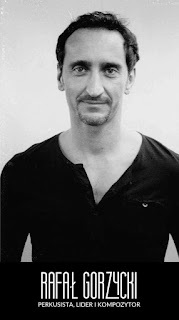 Mats Gustafsson - ur. 1964, to jeden z najbardziej cenionych europejskich przedstawicieli muzyki improwizowanej. Szwedzki saksofonista od 1990 r. mieszka w Chicago, gdzie pracuje u boku takich artystów jak m.in. Peter Broetzmann, Ken Vandermark, Barry Guy, Steve Lacy czy Hamid Drake. Jest współzałożycielem takich formacji jak m.in. The Thing, The AALY Trio, Peter Broetzmann Tentet, Atomic czy Gush. Johan Berthling - kontrabasista, kompozytor i improwizator szwedzki. Współtwórca zespołów – Animes, LSB, Sten Sandell Trio, Frode Gjesrtad Trio, Fire! i wielu innych. Koncertował i nagrywał z najwybitniejszymi przedstawicielami muzyki awangardowej, m.in. Davidem Stackenäsem, Raymondem Stridem, Fredrikem Ljungkvistem, Paalem Nilssen-Lovem, Frode Gjerstadem, Matsem Gustafssonem, Peterem Brotzmannem, Kenem Vandermarkiem, Evanem Parkerem i wielu innymi. Prowadzi własny zespół muzyki elektroakustycznej – Berthling and Christer Bothén Acoustic Ensemble. Andreas Werliin - szwedzki perkusista i perkusjonalista młodego pokolenia [rocznik 1982], związany ze eksperymentalną sceną rockową oraz muzyką współczesną. Współtwórca – wraz z Mariam Wallentin – duetu Wildbirds & Peacedrums, którego pierwsza płyta uznana była za prawdziwe objawienie na scenie muzyki eksperymentalnej, łącząc współczesną muzykę perkusyjną z rockiem, popem, mininal music oraz współczesną elektroniką i folkiem. Kiedy latem zeszłego roku kończyłem 3-letnią przygodę z RadiemJAZZ.FM mogłem z satysfakcją spojrzeć za siebie. Prawie tysiąc fanów audycji na Facebooku i tych najważniejszych obecnych co tydzień przed głośnikami; dziesiątki gości w tym tak wybitnych jak Aga Zaryan, Zbigniew Namysłowski, Marcin Wasilewski, Adam Bałdych i wielu, wielu innych; kapitalne chwile, gdy wydarzenia wyłamywały się ze scenariusza i wprawiały nas wszystkich w osłupienie bądź rozbawienie. Ach, łza się w oku kręci, gdy się wspomni wszystkie miejsca, z których nadawaliśmy: od mieszkania babci Naczelnego, przez bunkier na Mokotowie, po wspaniały pałac Szustra. Wszystko co piękne jednak w życiu musi się kiedyś skończyć zatem żegnałem się z RadiemJAZZ.FM bez żalu, zwłaszcza że czułem, że nie jest to pożegnanie na zawsze. Na początku nic nie zapowiadało zmartwychwstania radia, ale z czasem siła zgromadzona w zespole przez Jurka Szczerbakowa i Rocha Sicińskiego przemówiła. Powstał pomysł fundrisingu zrealizowany z rozmachem i dzięki Wam, naszych słuchaczom, uwieńczony wspaniałym sukcesem! Dzięki temu, pod przewodnictwem Barnaby Siegela wracamy teraz na antenę i... wracam też ja, skromny Jaś Konsola, na wiecznej misji psucia (nieumyślnie!) wyposażenia studia i rozchmurzania Waszych znękanych duszyczek jazzową gawędą. Wracam, ale już nie sam. Od jakiegoś czasu moim marzeniem była audycja prowadzona w duecie, tak aby oddać atmosferę przeżywania muzyki w dobrym towarzystwie. Bez innych ludzi bowiem - takie mam głębokie przekonanie - jazz nie smakuje nawet w połowie tak dobrze jak wtedy, gdy dzielimy go z innymi. Stąd wielka moja radość na naszą wspólną pracę z Rochem Sicińskim i myślę, że jeśli tylko dołączycie do nas Wy słuchacze, czeka nas wiele niezapomnianych, razem spędzonych wieczorów. Zapraszamy do RadioJAZZ.FM w każdy WTOREK od 20.00 do 21.00 na audycję CHCIAŁBYM, ALE SIĘ BOJĘ!! !